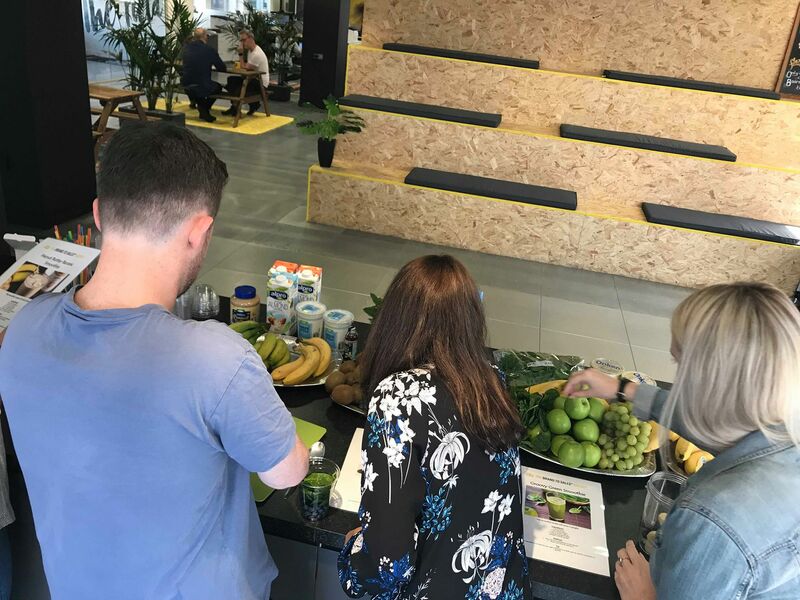 Every few months, Octopus Group takes the time to focus on the mental, physical and nutritional health of all of us here at Gray’s Inn Road, with dedicated a wellbeing day. Last month saw my second wellbeing day since joining OG in February, and I knew that if it was anything like the last one, then I was definitely in for a treat. 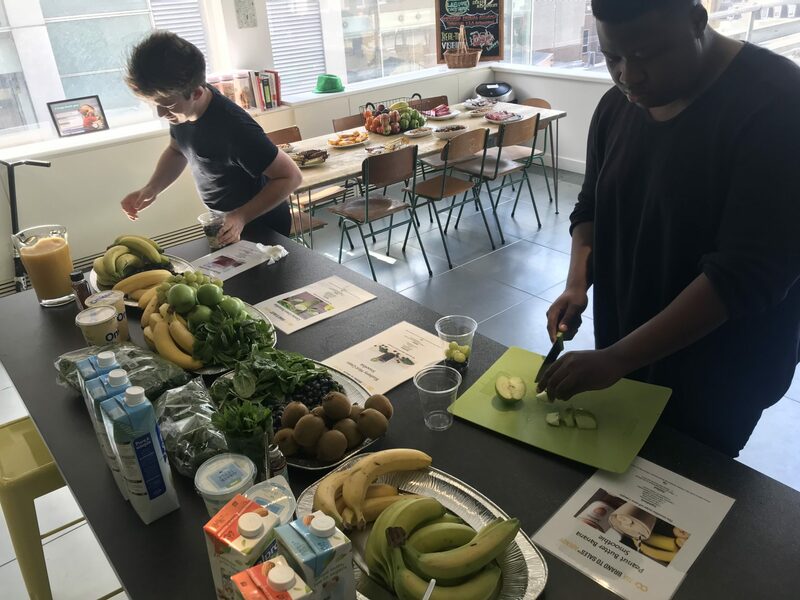 It began mid-morning, with loads of healthy snacks laid out for us in the kitchen, along with a big selection of yummy smoothie recipes (banana and blueberry is always a winner). Some of us also booked in for a massage – always a popular part of the day. 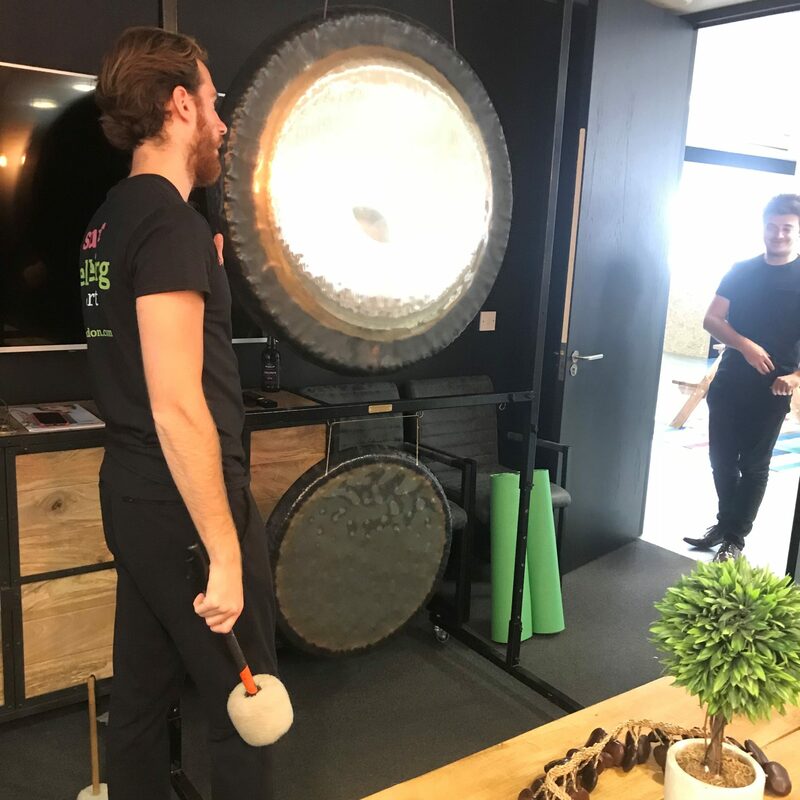 Later on, I took part in a gong bath – something I’d never heard of before, but was very intrigued to discover is a ‘unique type of sound practice that involves using therapeutic gong sounds and vibrations to bring about healing’. To be honest, going into it I had zero expectations of what it might be like. I like to think of myself as quite a spiritual person. But I’m also very restless. So I couldn’t really imagine how a man banging a gong was going to suddenly send me into deep relaxation. My God how I was wrong! I’d happily explain what happened in that 45-minute session, but I was sound asleep within the first few minutes. All I know is that I woke up feeling very relaxed and also a bit weirded out that I had just had a mid-afternoon nap while at work. I would definitely recommend the gong bath to anyone and hope I get the chance to do it again. I followed it up with a massage appointment at the end of the day, which was EXACTLY what I needed after a day of drinking smoothies and napping. I really appreciate how Octopus Group takes the time to plan wellbeing days for us all. They’re a great reminder to everyone about how important it is to really take care of yourself and your mental health. Yay for wellbeing day! I already can’t wait for the next one.